Hello, I am researching my family and have documents stating that my grandfather, William Ernest Fletcher from Wolverhampton served in the Royal Engineers in the South Staffordshire Regiment during the great war. Can he be added to your list please. Thank you. These names listed are a transcript of the official Wolverhampton Roll of Remembrance of those soldiers who died in the First World War, compiled by Wolverhampton City Council in about 1920. We do also hold other rolls of honour, of members of local churches and schools etc, which our volunteers will be transcribing too. If you can give us as much information as you have about your ancestor, we can have a look for you, and hopefully feature him in a future blog post! 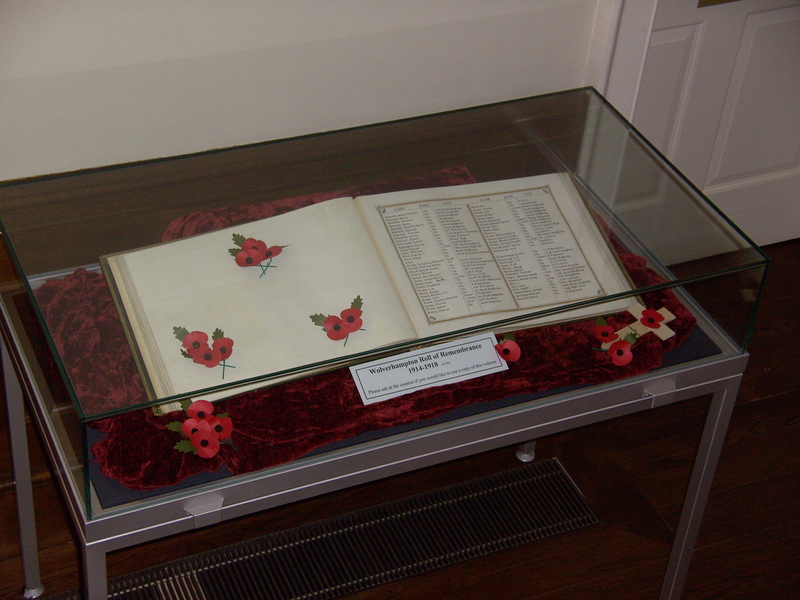 Looking for WW1 memorial from Higher Grade School – now Newhampton Arts Centre. May have gone to Old Hall Street with the school?